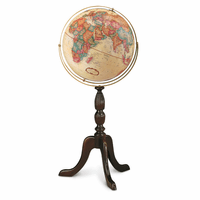 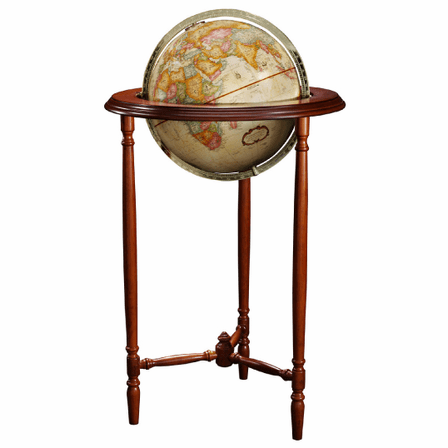 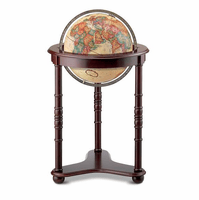 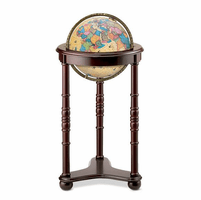 The antique white Saratoga globe has soft multi-colors to highlight each country, with mapped cities around the world, and is attached at both Poles to a brass-plated full-circumference meridian. 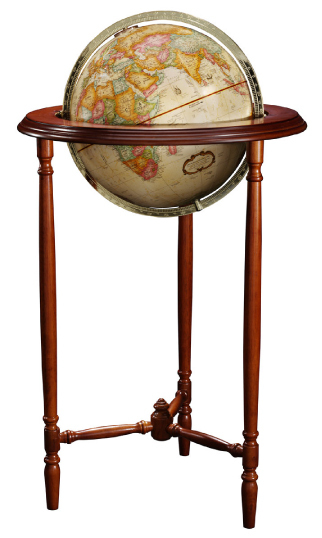 The 16' diameter globe is set in a solid wood stand, with carved spindle legs and a round top that is horizontal to the center of the globe. 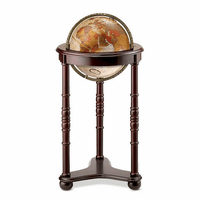 This is a spectacular gift for wedding, anniversary, or other special occasion, and will be the focal point of your home or office!